Thank you for your interest in our center. 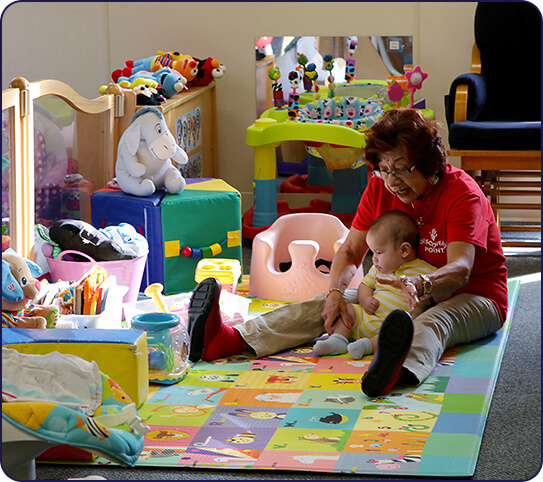 I am very excited to share with you what makes us different from other child care centers. All childcare programs are NOT the same. What sets Discovery Point @ Hamilton Mill apart from all the rest? 9 teachers have been with us in excess of 5 years, many over 8 years. The Infant Room Lead teacher has been with us for 13+ years. Tammi Boswell, (Director) has been here for 8+ years. Ryane Lee (Asst. Director) has been with us for 12+ years. Many of our children have been with us since infants. Most of our business is driven from parent referrals, which is the best compliment we can get! Most of our Teachers/Management have CDA’s or higher including Bachelor and Master’s degrees in Education. Cyndi Virgilio (Owner) is on-site daily and involved with not only the teachers but with the children as well. I trust that you and your child will love our center and especially our teachers.